Why not give back with your shopping? Whether you’re looking for family, friends or a treat for yourself, our Gift Guide has plenty of options. 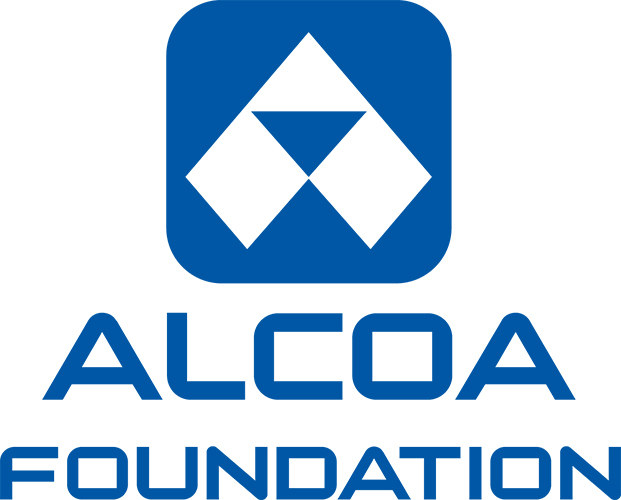 The gifts aren’t the only great thing, though – each product featured here from our corporate partners gives back to American Forests in some way. Choose from gifts in several different categories including Accessories, Apparel, Books & Stationery, Home, Recreation and Wellness. So go ahead and add these items to your cart. You’ll be saving our forests while you shop! 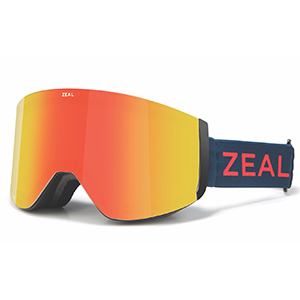 Zeal Optics unveils their lens interchange system in its first-ever cylindrical goggle, the Hatchet with RLS technology. The Hatchet has a Rimless frame design with upper and lower venting, a triple layer face foam, and is helmet compatible. The Hatchet’s lens is a cylindrical polycarbonate, with everclear anti-fog and a perma-shield hardcoat. The hatchet comes with an extra sky blue lens with purchase. 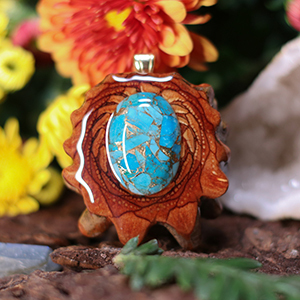 Third Eye Pinecone; $60-$99; Use code ‘AF SUPPORT’ for a discount! Third Eye Pinecones are a unique new form of organic jewelry, hand-crafted from the center of the world’s densest Pinecone. Each pendant elegantly displays the sacred-geometry at the heart of all living things, connecting us to the forest as we go about our day. For each pendant sold, a new tree is planted in collaboration with American Forests — assuring that every Third Eye Pinecone is a gift back to nature. 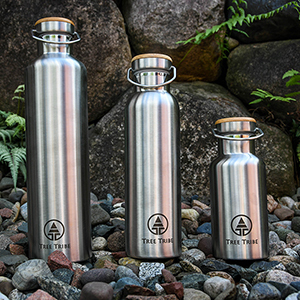 Tree Tribe’s line of Eco Water Bottles are indestructible, insulated, and guaranteed for life. There’s no plastic in the product or packaging. Color and design options available. Join in the movement to defeat single use plastic and be healthy! 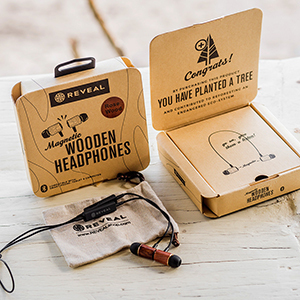 Wooden Bluetooth Headphones; $45; Use code ‘PLANTATREE’ for a discount! Wooden Bluetooth Headphones with Smart Magnetic Function. Works with all Bluetooth enabled devices; phone, tablet, computer etc. Easy to use and stylish. Open the earbuds and it automatically connects to your device. Close the earbuds and the magnets automatically power off your headphones. Great way to save battery life. Bluetooth technology with a range of 30 feet, plus 7 hour battery life. Great gift idea! 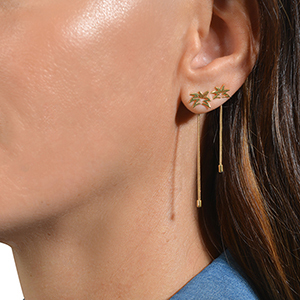 These palm earrings, reminiscent of tropical forests, are the perfect gift to get through the winter months! The elegant design can be dressed up or down and is sure to stand out in a crowd. The Large Smartphone Crossbody stylishly stows your smartphone (up to an iPhone 7+) while you’re out and about. Front phone pocket securely holds your phone and interior compartments organize your essentials. 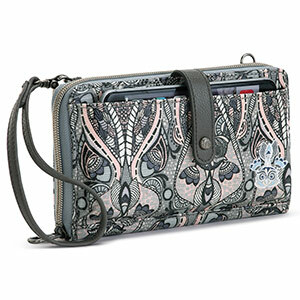 Wear it as a wallet, wristlet or crossbody with detachable straps. Founded in 2010, Amour Vert creates beautiful, versatile, sustainable, ethically-made fashion. 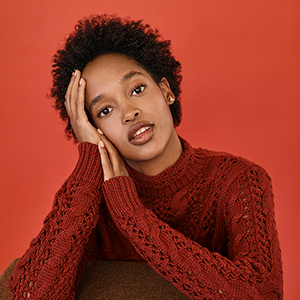 In every aspect, the company strives to respect all individuals in the creation and production of their clothing, and to minimize the impact on the environment. They also plant a tree for every tee they sell! Shop from their wide selection of sustainable clothing and make your season joyfully sustainable! 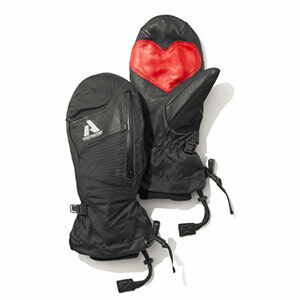 Inspired and built by Eddie Bauer athlete Lexi DuPont to help “spread the love.” DuPont spent months working with the Eddie Bauer team to design a mitt with a women’s specific fit that held up in harsh conditions. 10% of proceeds will go to American Forests to support our continued efforts to protect and restore ecosystems around the world! 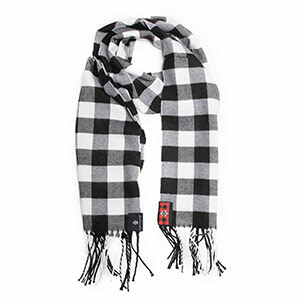 (Available in Red & Black or Black & White) The remarkably soft Buffalo Plaid Scarf may just be one of the softest things you will feel, and we mean that. It’s expertly crafted using the highest quality of cashmere and wool blended together. This Buffalo Scarf is an effortlessly stylish way to turn up your casual style and stay warm! 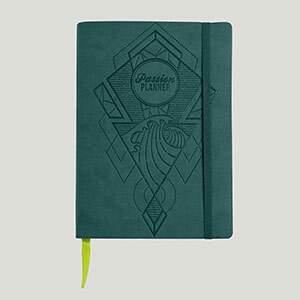 More than just a planner! This tool will help you define and breakdown your short and long-term goals and incorporate them into your daily life. Create the life you’ve always wanted! 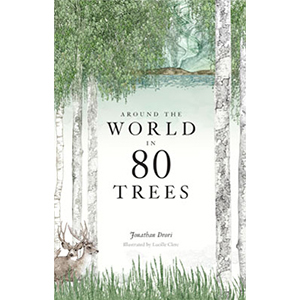 In Around the World in 80 Trees, expert Jonathan Drori uses plant science to illuminate how trees play a role in every part of human life, from the romantic to the regrettable. These strange and true tales about trees – from self-mummifying monks, tree-climbing goats to ever-so-slightly radioactive nuts – is illustrated by Lucille Clerc, taking the reader on a journey that is as informative as it is beautiful. 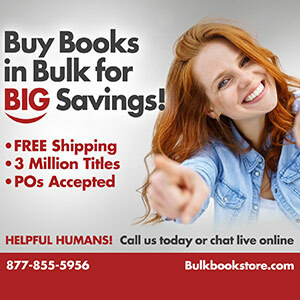 Bulk Bookstore offers more than three million book titles at wholesale prices in bulk quantities of 25 copies per title with free shipping. 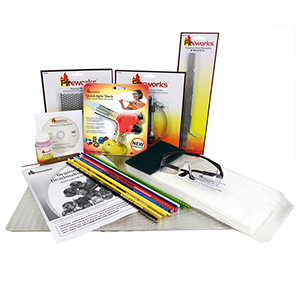 Customers include corporations, non-profits, educational and government organizations. Our guaranteed lowest prices and personal service are a few of the many reasons that 35,000+ organizations choose us and rate us so highly. Step away from your screen and into this serene scene: You’re listening to a songbird, or maybe feeling a gentle flower petal. 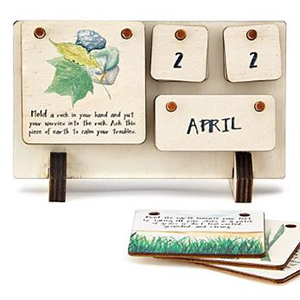 Relish in these little moments and more with this perpetual desk calendar, which encourages you to get outside enjoy the earth underneath your feet—or the light at the end of the day. Made of FSC-certified wood in Tampa, Florida by Wooden Shoe Designs. Luxurious Bamboo Sheet Sets; $153.99; Use code ‘PlantHope’ for 20% off! 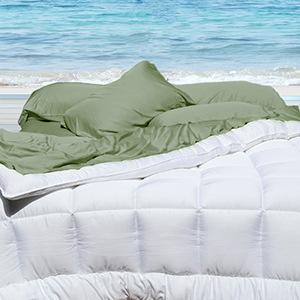 Create Your Home Sleep Oasis® Island Slumber’s sheets are luxuriously soft, breathable, quick-drying, and work in sync with your body to keep you at a comfortable temperature for relaxing, natural sleep. 100% Viscose from bamboo. Bamboo sheets keep you up to 5 degrees cooler than non-bamboo fabrics and carry thermo-regulating properties that will keep you cooler in the summer and warmer in the winter. Luxury, comfort, beauty and sustainability all in one. Combining ultimate luxury with the fresh fragrance of the outdoors, this stunning petite candle is the perfect addition to enhance any cozy space. When lit, it creates a beautifully rich ambiance accented by a real wood lid and is part of the Thymes® Plant One Tree program in partnership with American Forests. Each candle plants a tree to help make the world a better place, one tree at a time. Candle is 5 oz. Please note: Requires MAPP gas, available at most hardware stores. 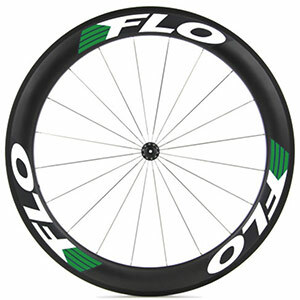 The FLO 60 Carbon Clincher. The best combination of aerodynamics and cross wind stability. Perfect for triathletes, road racers, and recreational riders looking for the ultimate wheel. Refined Hemp Lemon Elixir; $100; Use code ‘AmericanForests’ for a discount! 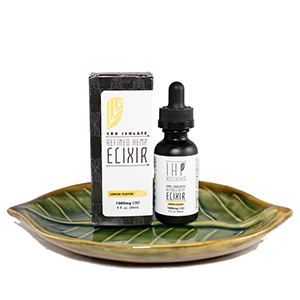 IHP Refined Hemp Lemon Elixir contains 1000mg of 99%+ CBD Isolate combined with Coconut MCT, Grapeseed Oil, and a light Meyer-Lemon infusion. Our products contain ZERO THC and each batch is tested for quality assurance. 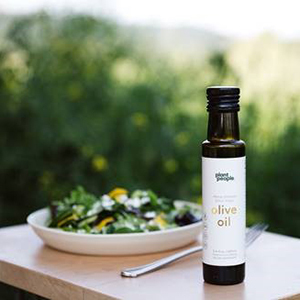 Single-origin full-spectrum CBD in organic and sustainably-grown cold-pressed extra virgin olive oil. Promotes satiety and reduces anxiety, boosts natural digestive processes. Rodney Strong Vineyards, a family owned winery located in Sonoma County, California, has a great gift suggestion for American Forests supporters – their Sonoma County wine trio! 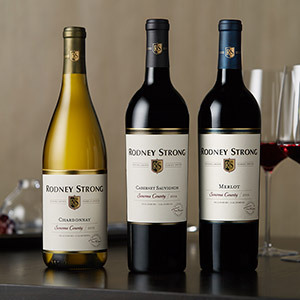 This family of wines includes the Rodney Strong Cabernet Sauvignon, Chardonnay and Merlot. Known for their sustainable practices, Rodney Strong Vineyards is a proud supporter of American Forests – planting 10,000 trees just last year in critical ecosystems around the US. 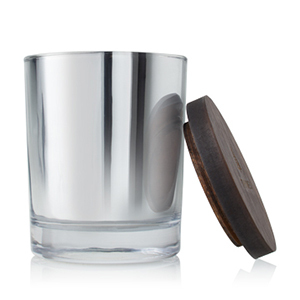 Check out their Sonoma County trio and other great products for your parties and gifts today!